Earn $57.71 in Rewards credit (5771 points) What's This? Hydro is here to stay. 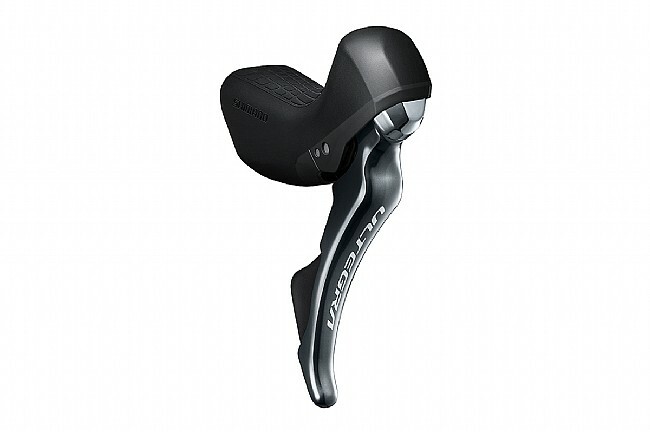 Bringing hydraulic disc brake compatibility to their new-and-improved Ultegra shifters, Shimano's ST-R8020 Shifters/Brake levers provide greater rider control in all conditions. With ergonomics in mind, Shimano took design cues from their Dura-Ace 9100 groupset, shrinking the bracket while featuring a textured hood and redesigned shape for the optimal shifter placement and a firm, comfortable grip. With the addition of hydraulic disc braking, you'll have total control in all conditions, while receiving greater reach adjustment range for the perfect placement. Brake compatibility: hydraulic disc brake. Lever Material: Carbon Fiber Reinforced Plastic. Lever Body Material: Carbon Fiber Reinforced Plastic.